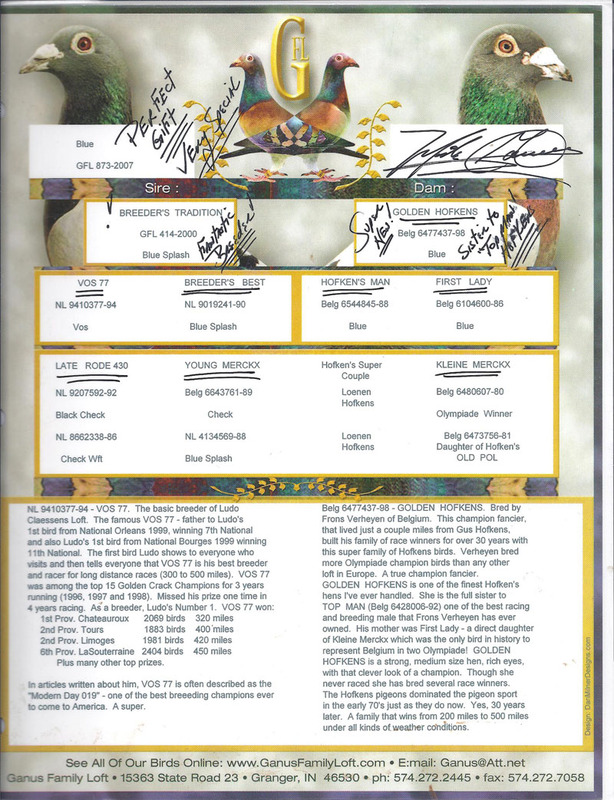 Recently on I-Pigeon my good friend Tim Brandon had a few birds for auction including KEEPSAKE!! He had bought her in a benefit auction for the City of Hope Cancer Research. Tim's wife is fighting the same cancer I had, therefore I immediately took note!! I loved the way KEEPSAKE presented herself in the photo and the eye shot!! 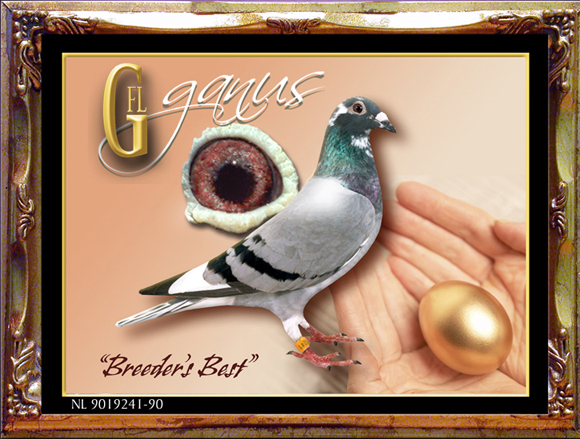 She is a fantastic small medium sized hen with tremendous muscle and buoyancy!! She has a pupil that is very reactive to light changes, just a gem of a hen!! To top it off she has VOS 77 and BREEDER'S BEST as grandparents and GOLDEN HOKENS as her dam!! 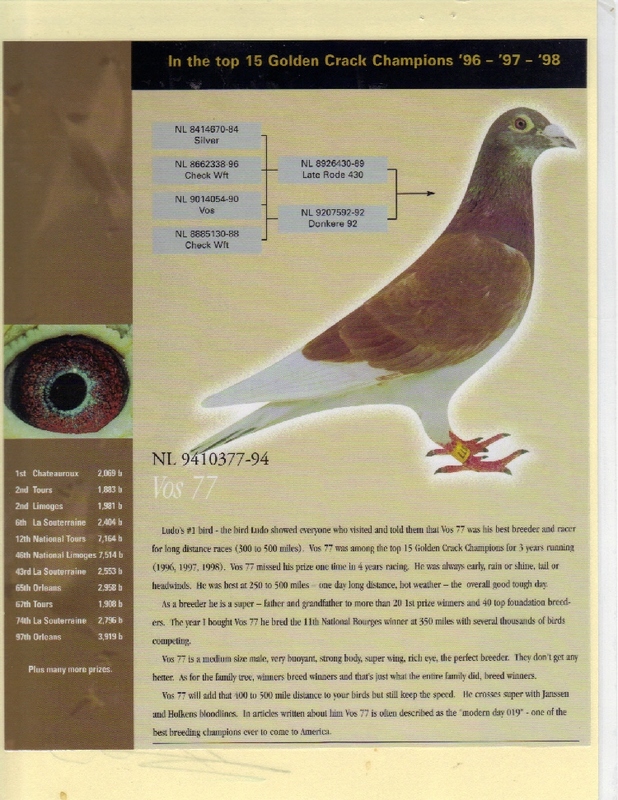 One of the best Ludos around combined with HOLLYWOOD's Mother and then a full sister to TOPMAN in GOLDEN HOFKENS!! 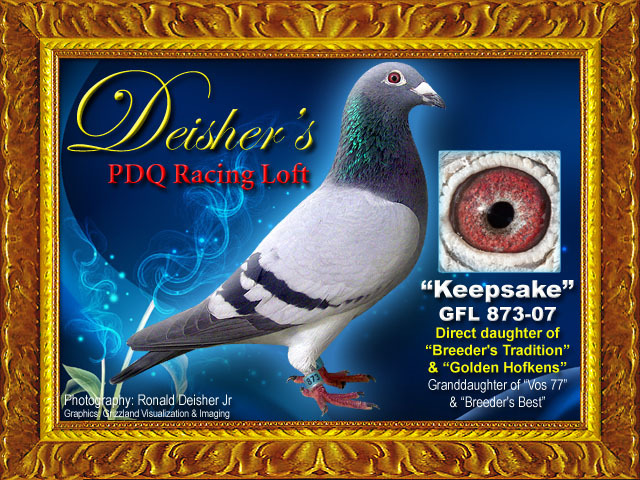 KEEPSAKE will make a great mate for my SILVER BOY family, for my HOLLYWOOD family and finally for the MONA LISA family for an outcross to breed the winners!! Super, Super Bird! !